Roger Federer plays a forehand in his semi-final match against Denis Kudla during the Gerry Weber Open on Saturday in Halle, Germany. Federer won 7-6, (7-1), 7-5. 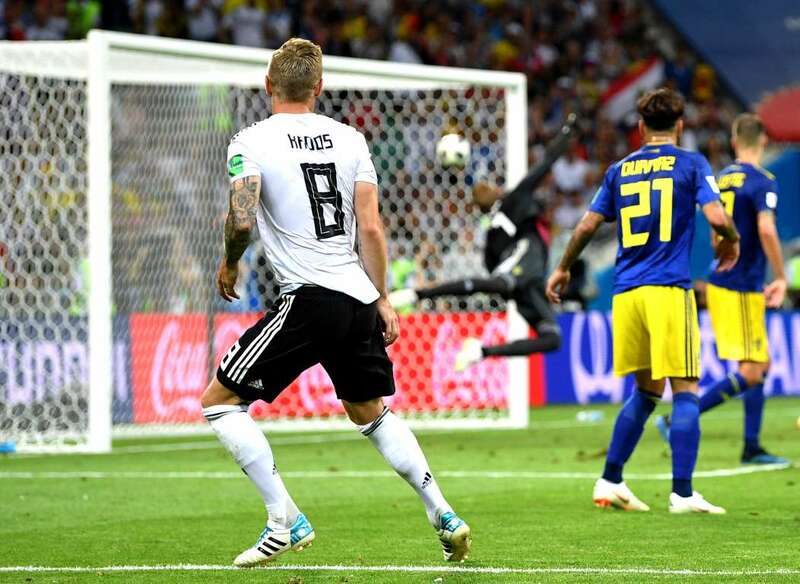 Toni Kroos of Germany scores his team's second goal during the FIFA World Cup against Sweden on Saturday in Sochi, Russia. Germany won 2-1. 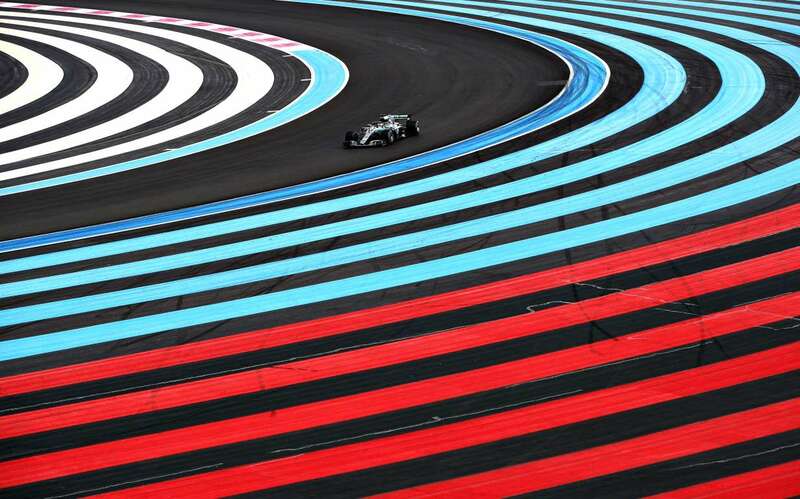 Lewis Hamilton of Great Britain driving the Mercedes AMG Petronas F1 Team Mercedes WO9 on track during final practice for the Formula One Grand Prix of France on Saturday in Le Castellet. 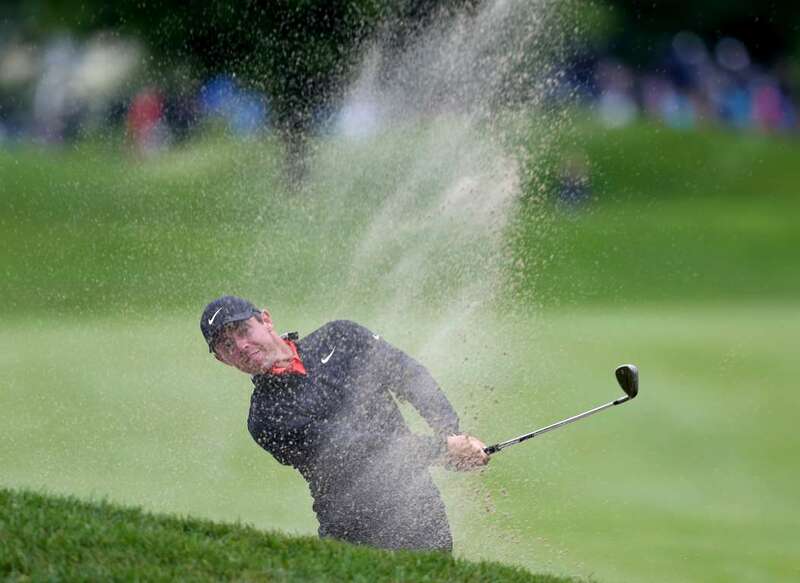 Rory McIlroy of Northern Ireland hits his second shot on the third hole during the Travelers Championship on Saturday in Cromwell, Connecticut. 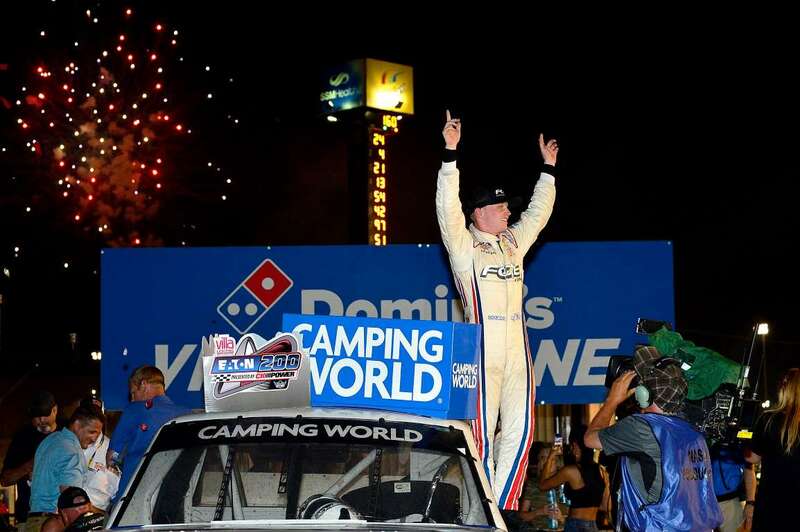 Justin Haley, driver of the #24 Fraternal Order Of Eagles Chevrolet, celebrates after winning the NASCAR Camping World Truck Series Villa Lighting delivers the Eaton 200 on Saturday in Madison, Illinois. 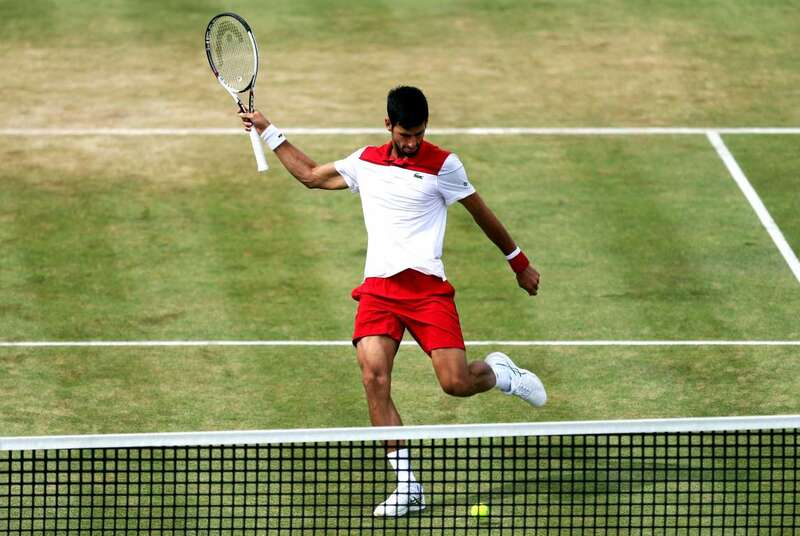 Novak Djokovic kicks out in frustration during his semi-finals match against Jeremy Chardy at the Fever-Tree Championship on Saturday, in London. Djokovic won 7-6, 6-4. 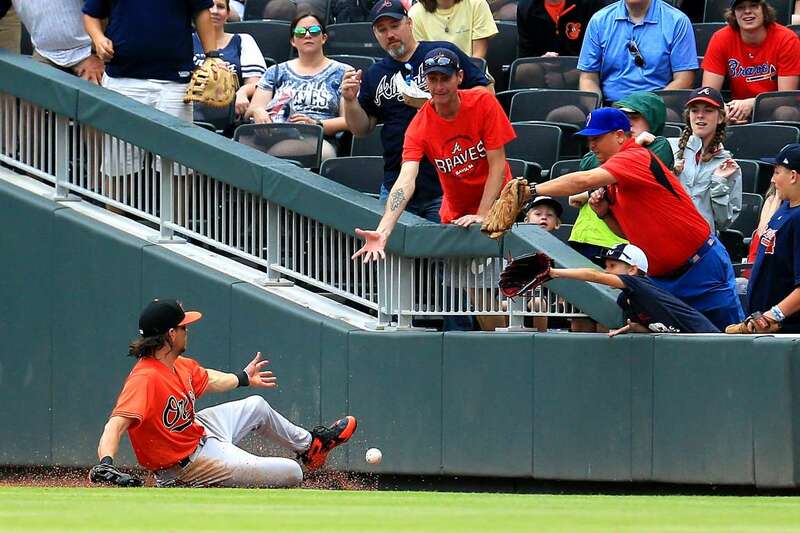 Colby Rasmus of the Orioles fails to make a foul ball during the match against the Braves on Saturday in Atlanta, Georgia. Orioles won 7-5. 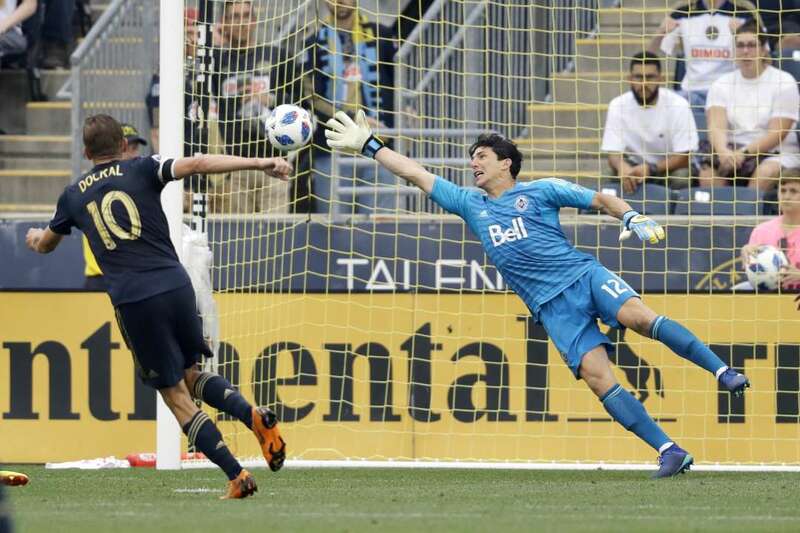 Philadelphia Union's Borek Dockal (10) scores a goal past Vancouver Whitecaps' Brian Rowe (12) during an MLS match on Saturday in Chester, Pennsylvania. Philadelphia won 4-0. 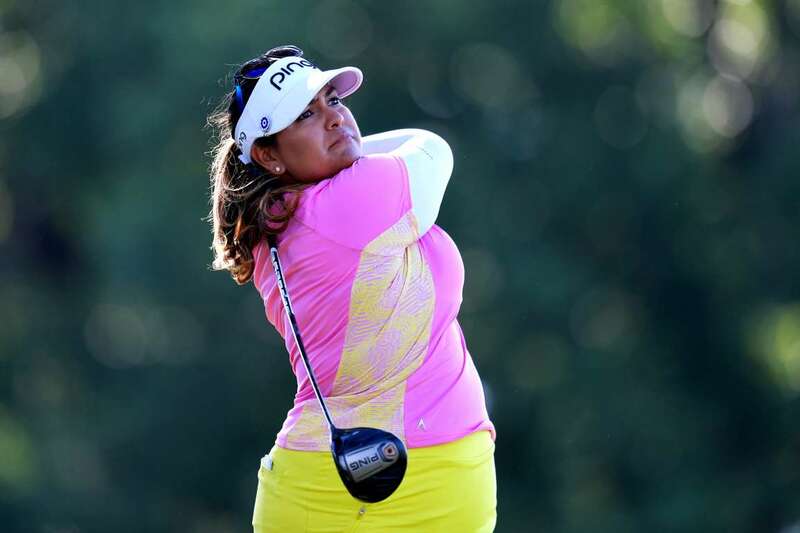 Lizette Salas plays her tee shot on the 16th hole during the second round of the Walmart NW Arkansas Championship on Saturday in Rogers, Arkansas. 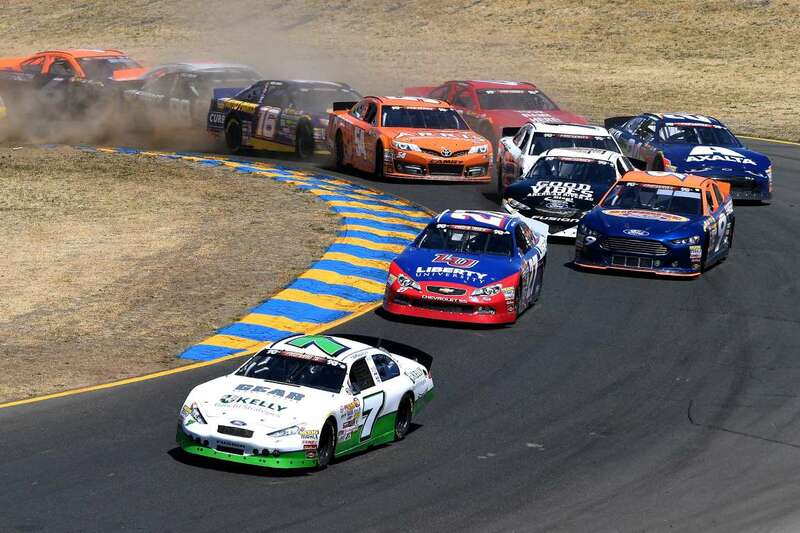 Will Rodgers, driver of the #7 Kelly & Associates Insurance Group Ford, leads the field at the start of the NASCAR K&N Pro Series West Carneros 200 on Saturday in Sonoma, California. Anthony Yarde (left) and Dariusz Sek fight for WBO European and Intercontinental Light-Heavyweight Title on Saturday in London, Britain. 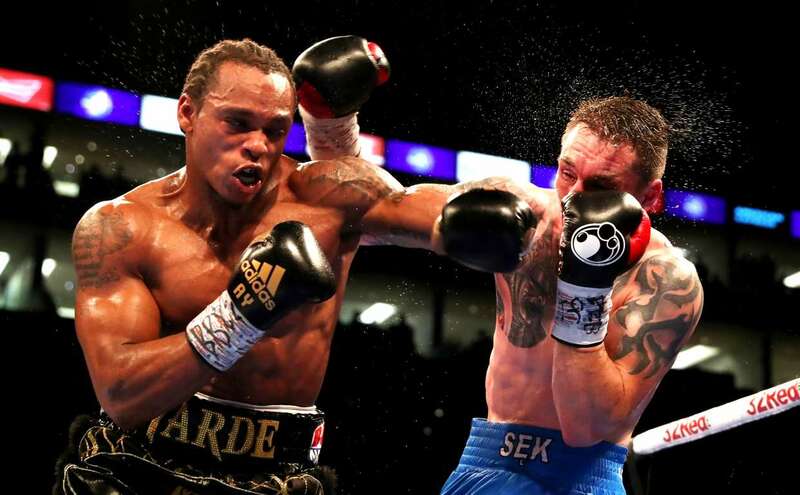 Yarde won the fight. 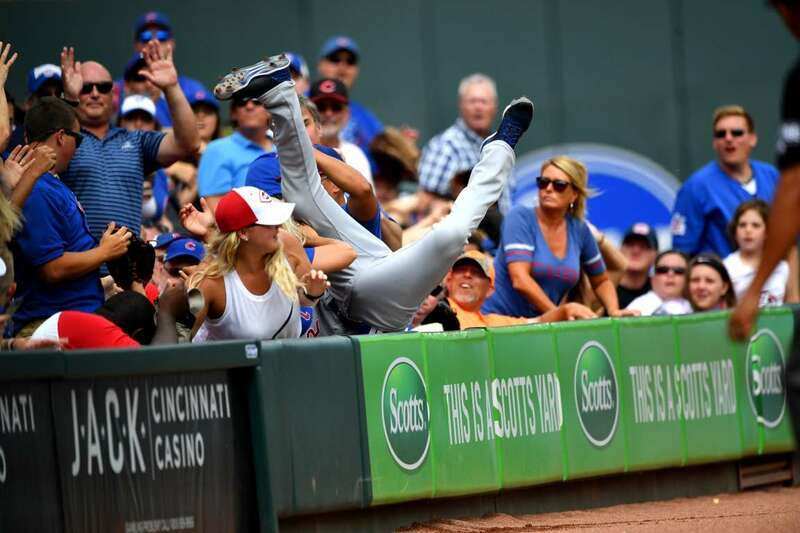 Tommy La Stella of the Cubs goes head over heels into the crowd as he makes the catch of a fly ball against the Reds on Saturday in Cincinnati, Ohio. Reds won 11-2. 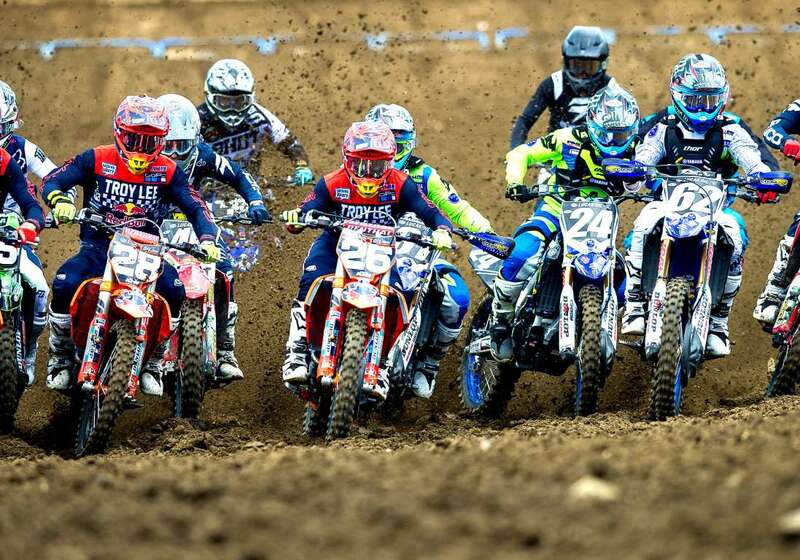 Riders in the 250MX class rush out of the gate during the Lucas Oil Pro Motorcross - Tennessee National race on Saturday in Blountville, TN. 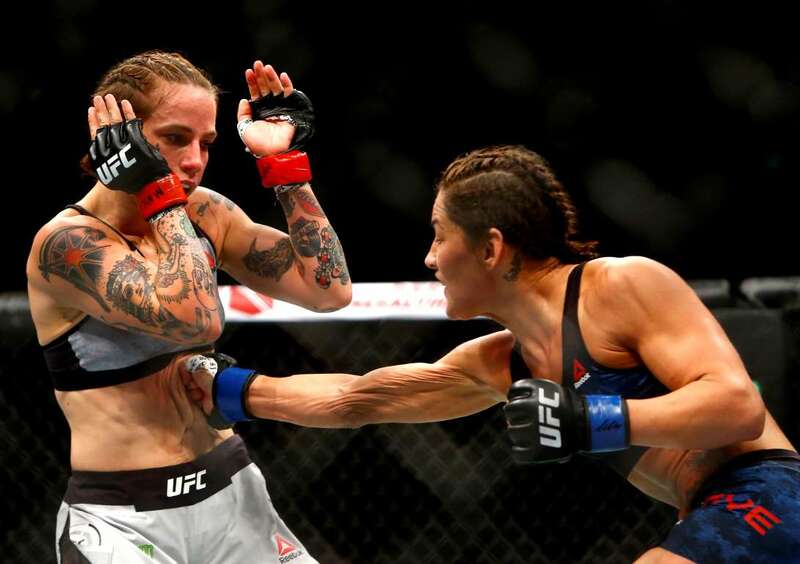 Jessica-Rose Clark (left) is seen in action against Jessica Eye at UFC Flyweight Bout on Saturday in Singapore. Eye won the fight. 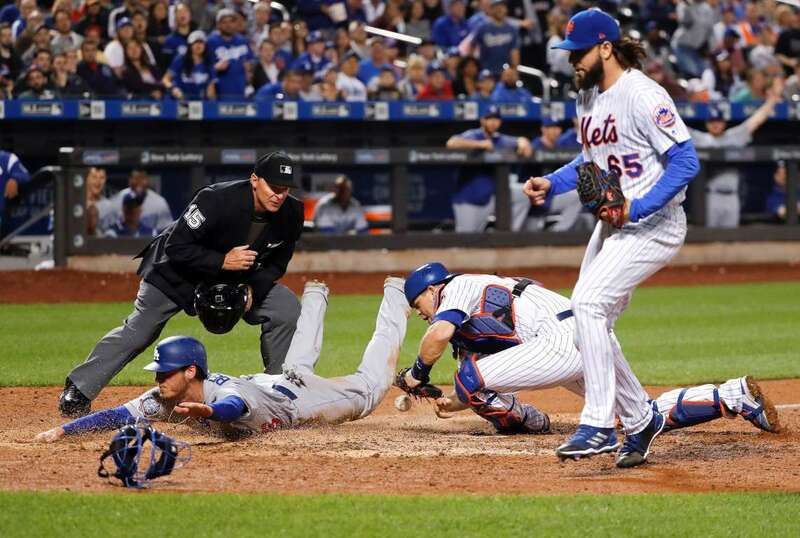 The Dodgers' Cody Bellinger scores on a squeeze play as the Mets catcher Devin Mesoraco (29) drops the ball on the tag during the game on Saturday in New York. The Dodgers won 8-3. Mexico's forward Javier Hernandez (second from left) scores their second goal past South Korea's goalkeeper Cho Hyun-woo (second from right) during the FIFA World Cup on Saturday in Rostov-on-Don City, Russia. Mexico won 2-1. 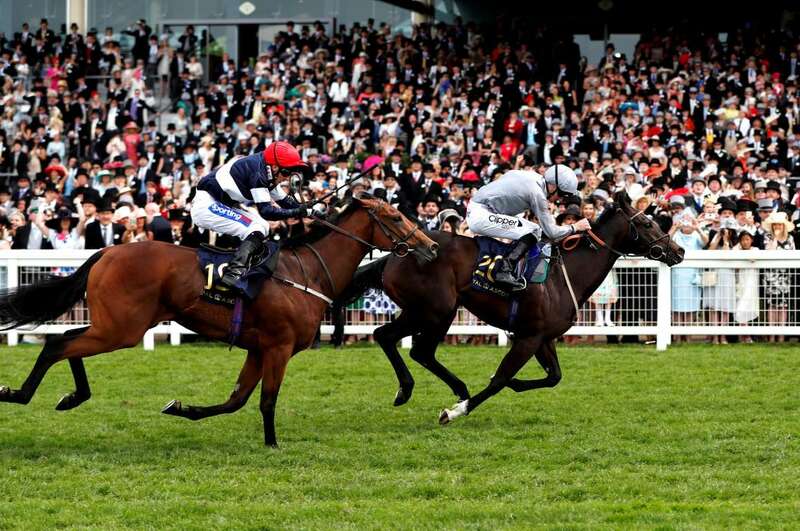 Soldier's Call (right) ridden by Daniel Tudhope wins the 3.40 Windsor Castle Stakes ahead of Sabre (left) ridden by Paul Hanagan on Saturday in Ascot, Britain. 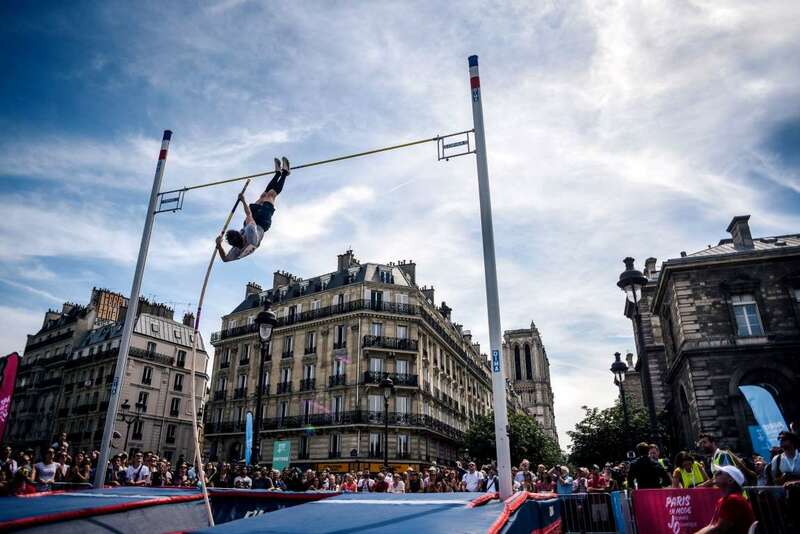 French pole vaulter performs in front of the public on the Pont d'Arcole during the "Olympics Day" organized by the "Comite National Olympique et Sportif Francais " (CNOSF) to celebrate the upcoming of the 2024 Paris Olympics Games, on Saturday, in Paris. 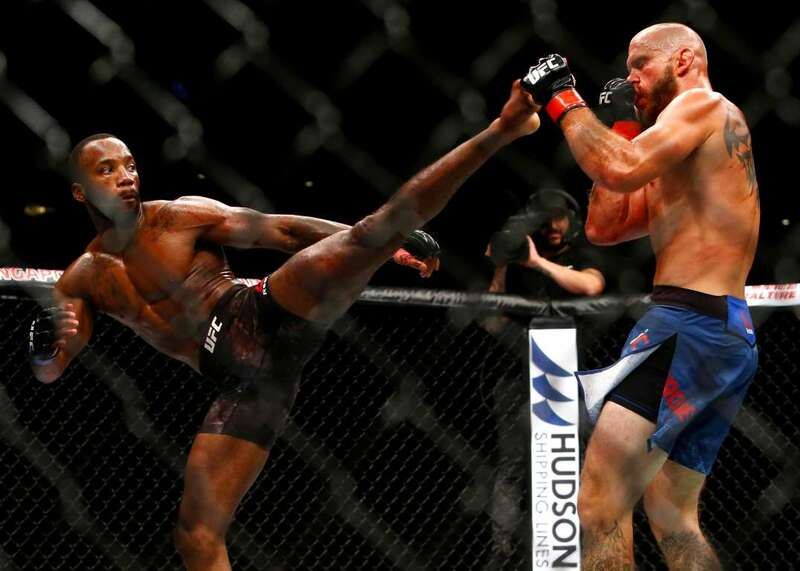 Leon Edwards (left) is seen in action against Donald Cerrone during the UFC Welterweight Bout on Saturday in Singapore. Edwards was adjudged the winner. 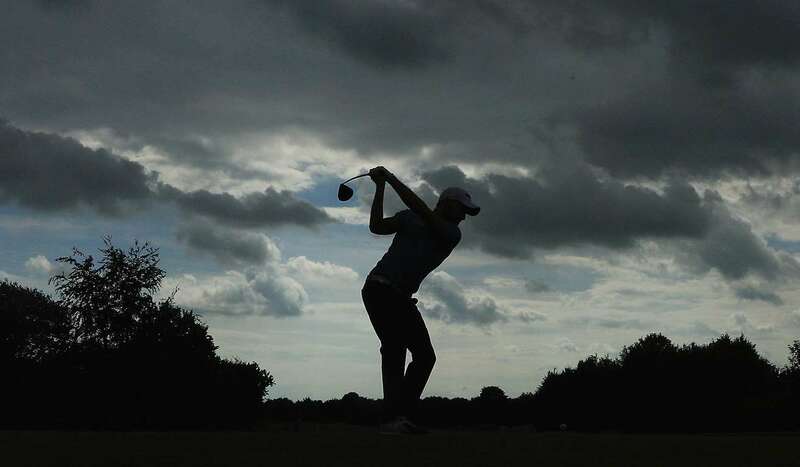 Maximilian Kieffer of Germany tees off on the 14th hole during the BMW International Open on Saturday in Cologne, Germany.